Previewed March 30, 2017. Performances ran April 27 2017 through September 24, 2017. In the final scene of Ibsen's 1879 ground-breaking masterwork, Nora Helmer makes the shocking decision to leave her husband and children, and begin a life on her own. This climactic event - when Nora slams the door on everything in her life - instantly propelled world drama into the modern age. 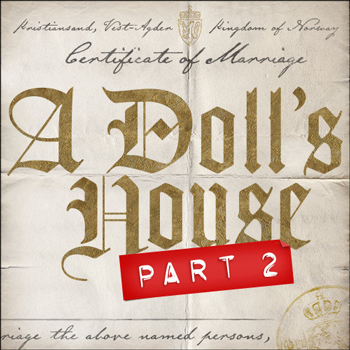 In A Doll's House, Part 2, many years have passed since Nora's exit. Now, there's a knock on that same door. Nora has returned. But why? And what will it mean for those she left behind? Best Performance by an Actress in a Leading Role in a Play - Laurie Metcalf. Metcalf won the 2017 Tony Award for Best Actress.